Gables is located directly between the Blackcomb Mtn Wizard Chair Lift and the gondolas for Whistler and Blackcomb Mtns. 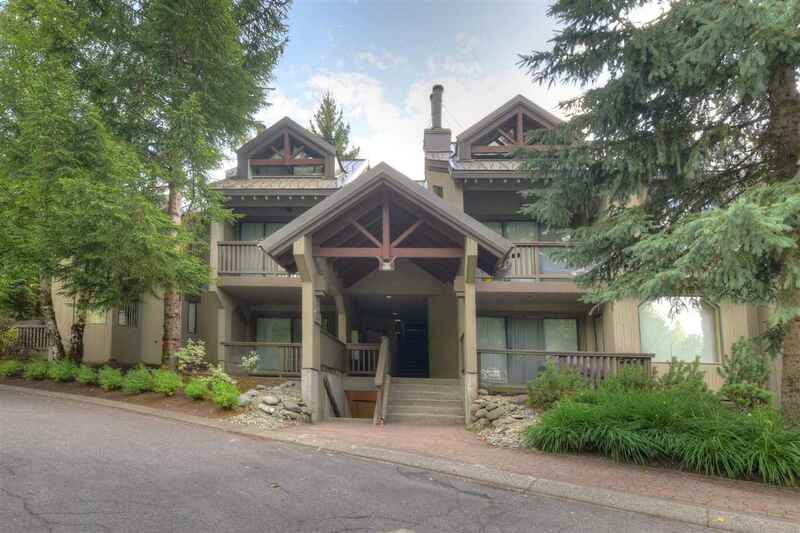 There's no question, this secluded townhome development is one of the best locations in Whistler. This 2 bdrm/2 bath one level townhome has a very modern decor, heated ceramic floors, concrete fireplace, electronic blinds, wifi controlled thermostat. Kitchen is spectacular, stainless steel backsplash, stainless steel deep sinks, concrete custom countertops. Well maintained development with full time resident caretaker. Truly a location at the centre of it all, and yet nestled away in the privacy and natural environment of the trees & Fitz creek. GST not applicable. Floor Area 931 Sq. Ft.